The demand for organic products has increased steadily during the last two decades and more than doubled since 2000 (Jensen et al. 2011). This growing interest is a consequence of the fact that people are a lot more conscious about the environmental problems we are facing today and/or the health risks associated with genetically modified organisms (GMOs) and pesticides. However, anyone interested in buying organic food knows how costly it can be, a fact that is not just reflected in your bills, but also on personal time, since these products are not easily found at every shop. 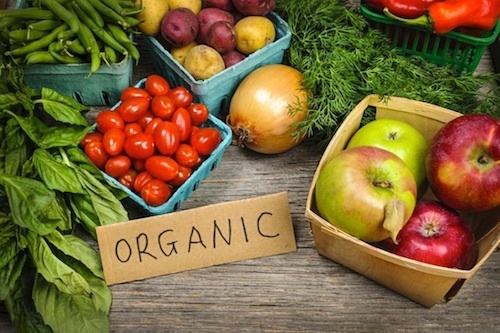 Although organic food presence in supermarkets has increased progressively, many consumers do not trust big supermarket chains and prefer to purchase their food in smaller local shops. Additionally, there is also the carbon footprint associated with imported goods, which often get certified as organic while actually hiding an enormous amount of carbon emissions that have been released throughout their production lifetime. A new way of getting fresh, non-GMO, pesticide-free organic fruits and vegetables has emerged in most developed countries. They can now deliver organic boxes filled with seasonal and locally produced food directly to your door for a reasonable price. Without just limiting themselves to fruits and vegetables, some companies also offer free-range eggs, cheese and other farm products. If you think that organic products are difficult to find in cities like London, then you cannot imagine how people struggle to get these goods in developing countries. In Chile, for instance, only a few supermarkets located in the richest boroughs of Santiago offer these kinds of products. There are, of course, some small organic shops and markets, and even though they have increased considerably in numbers, it is still difficult to find them. Besides, they are quite expensive; reaching prices similar to those you will get in the UK, but in a country where the minimum wage barely averages around 630 pounds per month. Although there is no official data on the evolution of organic product consumption in Chile, the Agricultural and Livestock Service of Chile (SAG) states that the number of shops selling those products has doubled in the last 5 years (El Mercurio 2017). However, this increasing demand is being led by the wealthier sectors of the population, due to the high cost of organic food, which keeps the less affluent families from buying them. Moreover, there is also a cultural aspect to take into account, which is that Chile ranks amongst the most obese countries in Latin America, where as many as 63% of Chilean adults are considered overweight (FAO 2016). There is also a very high consumption of ultra-processed foods, reaching a figure of up to 201,9 kg annually per capita (FAO 2016). Therefore, healthy eating has a social stigma of being identified as a rather elitist phenomenon, which inevitably influences people’s habits and leads to increasing health risks in poor neighbourhoods in a country where public health care coverage is deficient. Despite having no public support, there are NGOs, institutions and average people trying to encourage citizens to adopt a healthier eating lifestyle. These entities have made the most of this increasing demand for organic products in order to spread healthier habits to lower income families and thus inspire some form of social change. This is the main goal of “Huertas a Deo”, an environmental start-up, whose goal is to alter the way we understand agriculture and facilitate the access to organic and locally produced food while helping local small-scale farmers to develop their own businesses through sustainable farming. First, they contact independent farmers, who are provided with knowledge and support on how to grow food in a sustainable way. They receive training in agroecological techniques, such as permaculture, so that they can produce organic food without harming their local environment. Once these farmers start producing surplus and are ready to enter the organic food market, ‘Huertas a Deo’ operate as an intermediary between the farmers and the customers, enabling them to sell their products and improve their economic situation. The service provided by ‘Huertas a Deo’ differs from the majority of organic box delivery enterprises, as it also offers many social benefits. 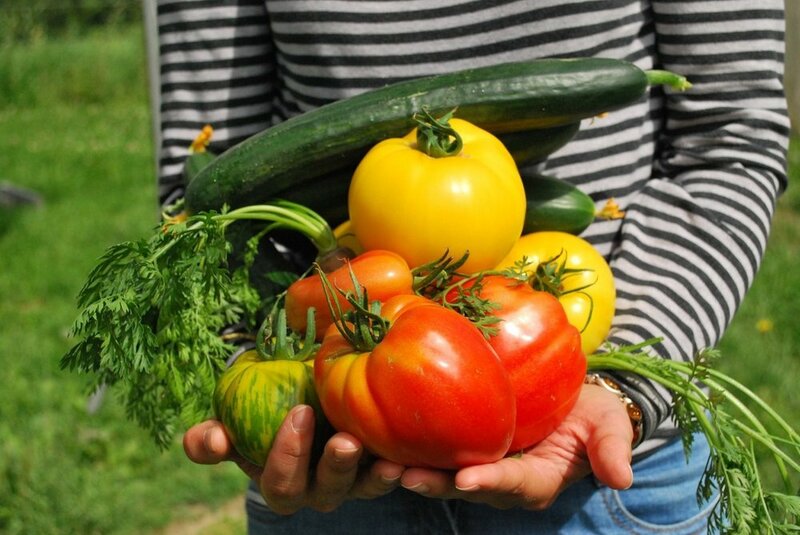 For example, the price of a box is quite reasonable compared to other organic shops and the food is also relatively fresh, given that the farmers harvest the fruits and vegetables the day before you receive them directly to your door. The only inconvenience is that you never know what you are going to receive; it will depend on what is produced that week by the farmers. Nevertheless, we should look at the positive side of this and use it as an opportunity to try out new food and improve our cooking skills. From my own experience, I once met someone in Spain who purchased their food from a similar organisation who proudly stated that their meals had become more varied, as they had to improvise and look for new recipes due to the unknown content of the box. On another occasion, I received some passion fruit during summer and to my surprise, not only were they among the best that I had ever tried, but I was also impressed that they could be grown in Chile. Therefore, this can also be a great way of learning and understanding how seasonal fruits and vegetables are produced in your area. Nowadays, this is considered an important issue because most people have lost their connection with the environment and the food they eat. They are not aware of where it comes from, how it was made or what effect it will have on their bodies, and most importantly, they have forgotten that food is our fuel and just as a car can breakdown when using the wrong type of petrol, our body can also get ill by feeding it with improper food. FAO, 2016. Panorama de la seguridad alimmentaria y nutricional, Santiago de Chile. Jensen, K.O.D., Denver, S. & Zanoli, R., 2011. Actual and potential development of consumer demand on the organic food market in Europe. NJAS - Wageningen Journal of Life Sciences, 58(3-4), pp.79–84. El Mercurio, 2017. Las tendencias que impulsan a los orgánicos en Chile.